Travel enthusiasts around the world love the concept of camping. Away from home. Under the stars. Building the shelter in the lights of campfire. Sounds intriguing, doesn’t it? Well, it sure is exciting. No wonder it is one of the most celebrated outdoor activities which travellers indulge in. But just as any other adventure, camping involves some challenges. Crafting a tent, building a fire, preparing food in the wilds can all get one in sweat. Your best bet? Be prepared. And to help you with the same, here we are talking about X types of knives that are perfect for your camping adventure. While a knife might not solve all of your problems in the jungle, a good one can help you with a number of things. While we all know that folding knives aren’t as strong as fixed blade knives, they can still be very useful when you go camping. On a hiking or camping trip when there’s no need of carrying a long blade knife, a folding knife can be of great help. The thing is that it is good for emergency purposes, can easily fit into your pockets and you can use it as an alternative to regular camping knives when nothing else is available. Basically, if you are looking for a good pocket knife, a folding knife can be a great option. If you are planning to go out in the wild and might be exposed to life or death situations, this knife can be your best bet. Whether you are to battle an animal or any other presents of the wild, a tactical knife will always help your fight. Also, you can use this knife as a tool for tasks in the wild like camping, hunting etc. The best thing, these knives are available in different builds from different materials. So, according to your need, you can pick the one that suits you the best. Also known as the Japanese short knife, a tanto knife is a good tool for slicing, slashing, stabbing, cutting. In appearance it is quite similar to a samurai sword. Also, it has thin points similar to drop point knives, bowie knives, and daggers. When utility is concerned, it is very durable and doesn’t get damaged even after repetitive use. You can use this knife to cut meat, hunt or even to defend yourself. The one that you can easily carry in your boots. A boot knife is usually double edged and has a fixed blade. Although it has a smaller blade which can turn you to avoid using it in general situations, at the end of the day it can make a great additional knife in emergency situations. Generally, you might avoid pulling this one out. This is a knife that used to be used by South Asian farmers for cutting grass, digging roots and planting rice. Apart from that, it is a good tool to carry for your camping adventures. It is available in single, double and triple-edged sharp blades. Another great thing about this knife is that it comes with a finger ring at the base of its hilt. This provides more support while cutting. While camping is great fun and travellers really enjoy indulging in the same, there are various challenges associated with it. Not that a knife can solve them all, but if you pick the right one, it can help you. 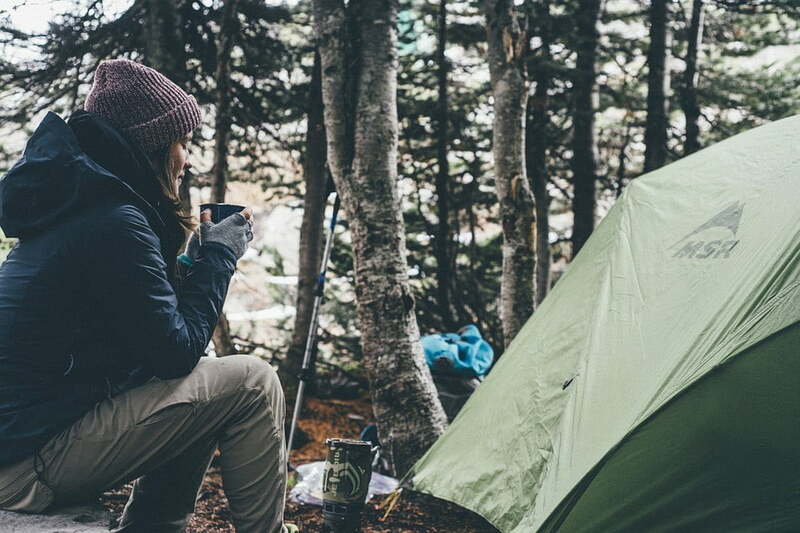 Here, we mentioned 5 types of knives that make a perfect tool for your camping adventure.